Accurately extract data from PDF to Excel Spreadsheet! Lighten PDF to Excel Converter 5.3.0 was available as a giveaway on August 7, 2017! Extracting tables, forms or lists from your PDF to Excel has never been easier. 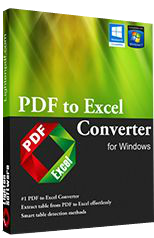 With Lighten PDF to Excel converter, you can quickly and accurately convert PDF to Excel for easier data processing. Lighten PDF to Excel Converter offers 2 smart table detection methods, it can detect tables automatically according to the table borders or the data structure. If auto detection is not correct, you can mark table areas flexibly before conversion. So no matter how complex the tables are, it can keep the original formatting and put the data into the right cells in the output Excel. Multilingual user interface supports 8 languages, including English, German, French, Portuguese, Spanish, Italian, Simplified Chinese, Traditional Chinese. Check out the video tutorial on YouTube! Please note: Giveaway version does not support free upgrade. Only for $4.99 you can enjoy lifetime free upgrade and tech support! Get it now! More exclusive deals for Giveawayoftheday users, only today! How would you improve Lighten PDF to Excel Converter 5.3.0? 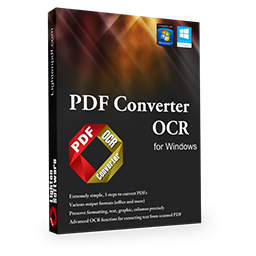 With OCR function and 9 output formats, PDF Converter OCR is the most comprehensive app in Lighten Software product line. Quickly and accurately converts PDF to Word, Excel, PowerPoint, EPUB, RTF, CSV, Image & Plain Text with ease. Get it now, only $14.99 today! 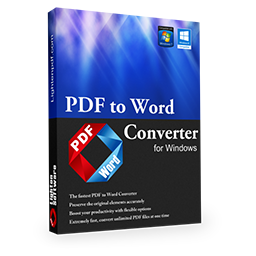 With Lighten PDF to Word Converter you can convert PDF to well-formatted Microsoft Word (.docx, .doc, .txt). Transfer all the content from PDF to Word without spending lots of time retyping or copy-paste job. Get it now, only $9.99 today! 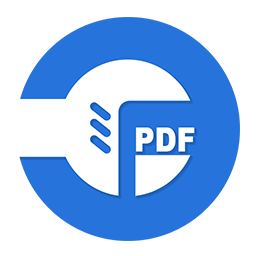 Powered by Lighten Software's PDF solutions, CleverPDF.com offers 19 free online PDF tools including PDF to Office, iWork, EPUB, image conversion, Office to PDF conversion, Merge/Split PDF, compress PDF, encrypt PDF, add watermark to PDF and more! No account required, download the output file instantly after processing in the cloud. No install problems and only a brief test though impressed. Simple and clear UI, no issues and a helpful web site info page. The select individual table feature is very useful. Thanks for the fair user policy and special GOTD deal. Happy to support. Good to see some active support here as well from Lighten Software. I, too, am having trouble installing it. The installer program claims that it's been activated and brings my browser to https://www.giveawayoftheday.com/lighten-pdf-to-excel-converter-5-3-0/?activate, but I can't find the executable anywhere on my disk. I searched for "lighten" and "*ighten" (in case of case sensitivity). I also tried "*ighten*" and "*ighten*.*". I also searched for all files modified this past week, and looked through that list for anything that looked like it might say "lighten", and any executable files. Not finding anything. Where is the executable, and what is it called? By the way, I went first to my user directory and tried there, before searching the entire PC. Is there any reason for Zemana Anti-Malware blocking setup.exe files as a "harmful file" here? Thanks for any...recommendations--possible ones. God bless! David Ulrich, "Zemana Anti-Malware" This program has blocked many program's on this laptop. Almost every time with Themida-setup's. Therefore I did remove this program. David Ulrich, "Zemana Anti-Malware" This program has blocked many program's on this laptop. To many. All these program's were harmless, according to virustotal.com Almost every time with Themida-setup's. Therefore I did remove this program. There are some differences. There is no +-symbol. Also all value's are text. Also did a test on a PDF from the internet and that one was not bad. Thank you Lighten Software... 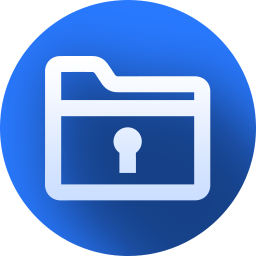 I have some cemetery files that were originally published in PDF format (and password protected) that I have been trying to (easily) covert to Excel. I tried one of the files and it worked very good. I did have to go into Options to make it 'one file one worksheet' as the default is '1 page to 1 worksheet' and that would have taken me a while to 'combine' sheets. Again, thank you and thank you to GotD for this one. Thank you Lighten Software... I have some cemetery files that were originally published in PDF format (and password protected) that I have been trying to (easily) covert to Excel. I tried one of the files and it worked very good. I did have to go into Options to make it 'one file one worksheet' as the default is '1 page to 1 worksheet' and that would have taken me a while to 'combine' sheets. Again, thank you and thank you to GotD for this one. Illinois Fritz, Thanks for your feedback. Glad it works for you. You can try to add multiple PDF files, then click 'Option', choose 'Convert all pages into one sheet'. And check the 'Apply to all' option before conversion. This can be more productive and save your time. Illinois Fritz, Thanks for your feedback. Glad it works for you. You can try to add multiple PDF files, then click 'Option', choose 'Convert all pages into one sheet'. And check the 'Apply to all' option before conversion. This can be more productive and save your time. Downloaded and clicked on the setup file; it connects to the giveaway site and activates, but the software is not installed. What am I doing wrong? Downloaded and clicked on the setup file; it connects to the giveaway site and activates, but the software is not installed. What am I doing wrong? thanks for the help. Recently I have had the same installation issue with many giveaways from this site. Some comments here suggested our temporarily turning off all security software that was running on our computers for the installations. But this is something I do not want to do. I'd rather not install the giveaways than putting my computer at risk. Kalyanaraman, Recently I have had the same installation issue with many giveaways from this site. Some comments here suggested our temporarily turning off all security software that was running on our computers for the installations. But this is something I do not want to do. I'd rather not install the giveaways than putting my computer at risk. Installed the setup file from the homepage of the developer, not for GAOTD. Registration doesn't work, it is OK. Tried to convert 2 files. First a PDF File generated from an Excel table, the conversion is super fast and the result is excellent. Second time: made a screenshot from the same table and printed by Foxit PDF printer to PDF. Converting this file the result is an empty Excel file. With OCR function it would give a good result, but OCR function isn't part of this software. Installed the setup file from the homepage of the developer, not for GAOTD. Registration doesn't work, it is OK. Tried to convert 2 files. First a PDF File generated from an Excel table, the conversion is super fast and the result is excellent. Second time: made a screenshot from the same table and printed by Foxit PDF printer to PDF. Converting this file the result is an empty Excel file. With OCR function it would give a good result, but OCR function isn't part of this software. Many thanks but uninstalled. PDF to Excel Converter doesn't offer OCR function, it is designed for converting non-scanned file to Excel. OCR is not an easy task. It's very difficult to recognize the data from image or scanned PDF and rebuild the table in Excel, especially when the table has border lines, which will significantly reduce the OCR accuracy. We will try to find a good OCR engine provider in the future, thanks again for your feedback. Lizzy, Thanks for your feedback. PDF to Excel Converter doesn't offer OCR function, it is designed for converting non-scanned file to Excel. OCR is not an easy task. It's very difficult to recognize the data from image or scanned PDF and rebuild the table in Excel, especially when the table has border lines, which will significantly reduce the OCR accuracy. We will try to find a good OCR engine provider in the future, thanks again for your feedback. Pretty cool. Works as advertised, although I didn't challenge it too badly. Simple, clean interface produced nicely tabled data. The advertised price is a bit high in my opinion for a 'one trick pony'. $9.99 would be more reasonable I think. Thanks for your comment, glad it works as expected. If the table in PDF is simple or contains border lines, auto-conversion can output accurate result. If the table is complex without any borders, you can also change the table detection methods or manually mark the table areas before conversion. We will also consider the price you suggested, thanks! DAVID, Thanks for your comment, glad it works as expected. If the table in PDF is simple or contains border lines, auto-conversion can output accurate result. If the table is complex without any borders, you can also change the table detection methods or manually mark the table areas before conversion. We will also consider the price you suggested, thanks!